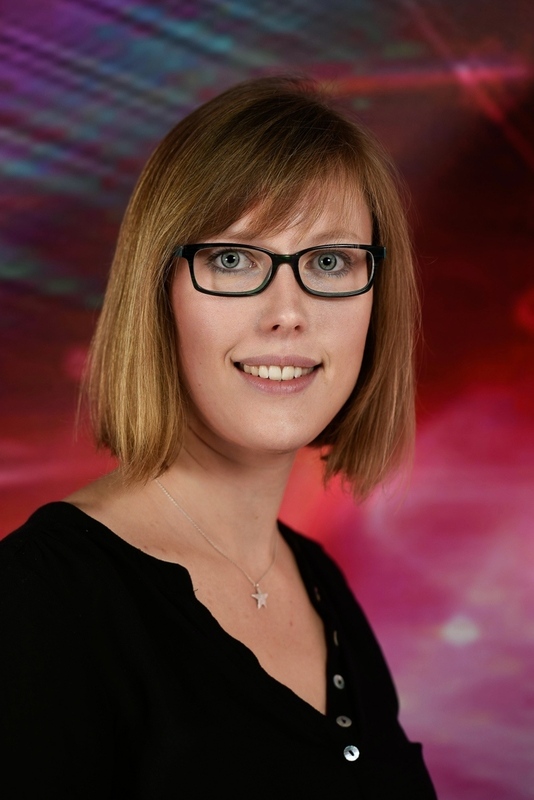 Fatima Gunning’s research interests is focused on novel optical communication techniques to enable an efficient use the optical fibre bandwidth, and also investigating radical approaches to a potential capacity crunch by exploring a new telecommunications window for future transmission demands, such as deployment of new 2µm semiconductor components in a WDM testbed. Such challenges are being addressed in different ways by her team of research students and postdocs, in addition to key industrial partners. Within TIPS, she’s implementing Silicon photonics based devices into a systems testbed to verify their potential deployability in a real network. Originally from Brazil, where she obtained her BSc (1994), MSc (1996) and PhD (2000) in Physics from Universidade Católica do Rio de Janeiro (PUC-Rio), she arrived in Europe over 20 years ago as an intern in BT and developed her career through BT and Corning Research Centre in UK. Fatima is a researcher in Tyndall since 2003, promoted to Senior Staff Researcher in 2014. She is a member of IOP and IEEE, and published over 120 publications in journals and peer-reviewed conferences, 3 patent families, 8 invited talks, and 6 post-deadlines at ECOC and CLEO, in addition to contributions to Silicon Republic. 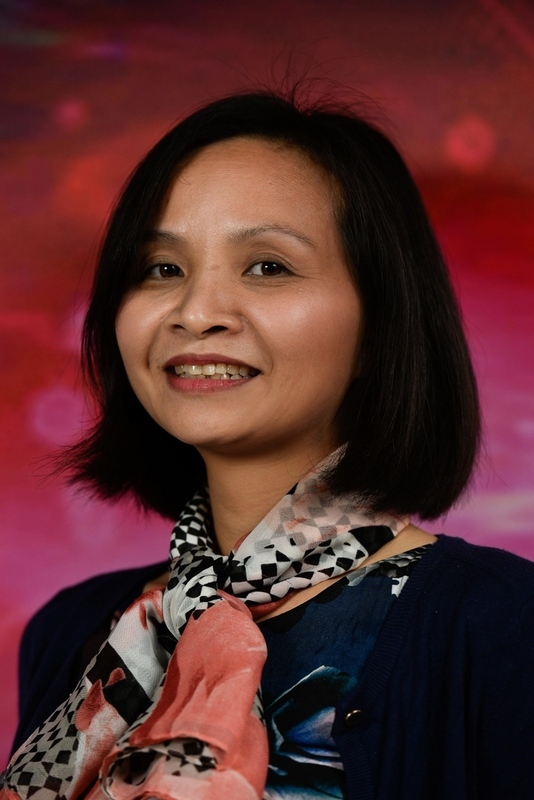 She is actively working on initiatives to promote Science to the community, and in particular in efforts to increase gender representation in Physics and Engineering at all levels. Examples of activities include strengthening students’ confidence by encouraging participation in public competitions and talks, giving them visibility within the Irish Community; being a member of policy making committees such as the Empowering Women Committee @ Tyndall, UCC’s Athena Swan focus group, and championing IPIC’s gender balance plan; and also contributing to outreach activities such as hosting gap-year students in the lab, or visiting schools. Fatima’s research is largely funded by Science Foundation Ireland (SFI) through the Irish Photonic Integration Centre (IPIC) and her SFI CDA award, where she is expanding the implementation of her pioneering work on Coherent WDM (also called superchannels, or all-optical OFDM), towards the development of adaptive physical layer solutions that may be employed with Software Defined Networks. Her work is also funded by EU-framework, European Space Agency and the Irish Research Council. Marian graduated with a Bachelor of Engineering (First Class Honours) in Mechanical Engineering from the University of Limerick in 2015. 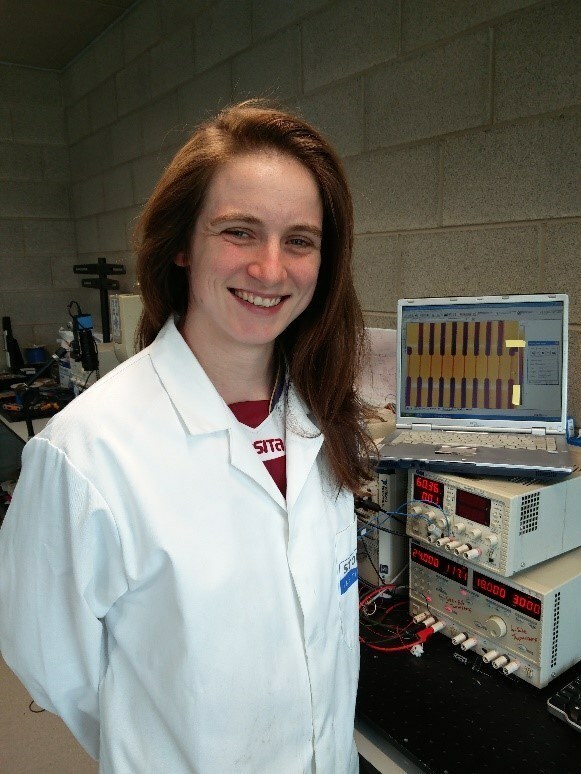 She is a postgraduate researcher based in Stokes Laboratories in the University of Limerick. 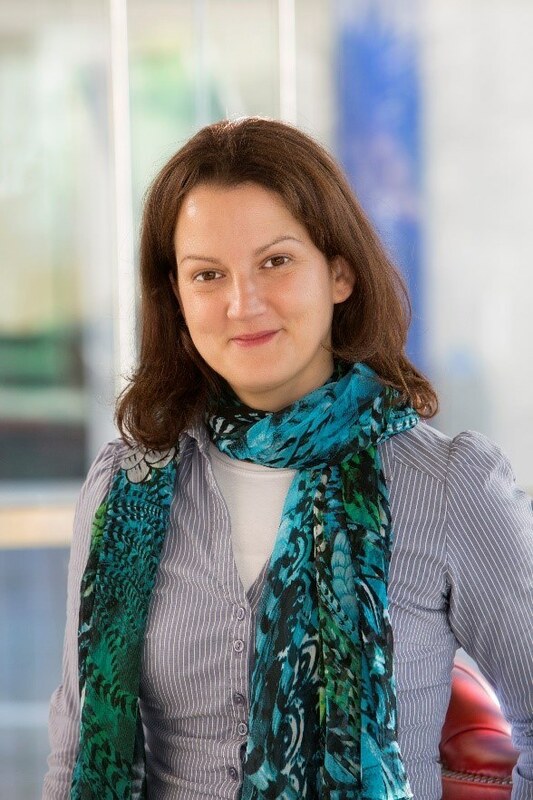 Within TIPS, she has worked on the hydrodynamic characterisation of various novel microchannel geometries that will be used to remove large heat fluxes in future packaging. 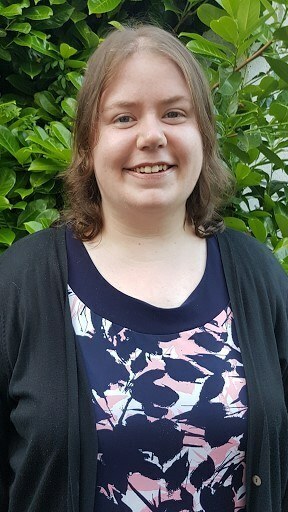 She is currently carrying out an internship at Nokia Bell Labs, under the supervision of Dr. Kevin Nolan, focusing on the possible heat transfer enhancements viscoelastic fluid flows in microchannels could provide for localised hotspots in thermal packages. Niamh Richardson built Meccano and watched her father, an electronic engineer, work from a young age, stemming an interest in mathematics and engineering. Throughout school she was very interested in mathematics and technical drawing. Studied biomedical engineering in UL during which she developed an interest in microfluidics, completing her FYP in that area. After college, she worked for 6 months as a research assistant for a company working in microfluidics. Following that she began her PhD research within the TIPS project, based in the University of Limerick and working with Nokia Bell Labs, Dublin. Her work focuses on microfluidics and thermodynamics — the viability of microchannels for use as microTEC coolers. Thi Lan Anh Tran, Ph.D.
Thi Lan Anh Tran achieved her Bachelor of Science in the Department of Physics, Hanoi University of Science, Vietnam in June 2002. She obtained her Master and Ph.D. in Materials Engineering at Semiconductor Materials Laboratory, Department of Materials Science and Engineering, Chungnam National University, Daejeon, South Korea in 2005 and 2009, respectively. Her research results were published in several SCI journals. In August 2009, she started her second Ph.D. in Electrical Engineering at NanoElectronics Group, MESA+ Institute for Nanotechnology, University of Twente, Enschede, the Netherlands. She published 6 scientific articles in this project. She has been working for Lionix BV., since February 2014. Her main tasks are process development, realization and characterization of micro-nano devices for various research and commercial projects. In TIPS project, she mainly contributes to device processing and testing. Beside continue on the current work for a micro-nano devices, she is now working on assembly and packing for the photonic chips for Telecom, Datacom and Life Science applications. These are scientifically and practically challenging tasks. Ilka Dove received her B.Eng. in Electrical and Electronic Engineering with specialization Applied Communication Engineering in 2012 from the Saxion University of Applied Sciences and her M.Sc. in Electrical Engineering with specialization Telecommunication in 2014 from the University of Twente. As a System Engineer at SATRAX B.V. she developed system specifications, design and implementation of integrated optical beam formers. She created mask designs for optical chips for different photonic integration platforms and was involved in the programming of the control electronics for the developed products. She was project leader of several projects and since 2016 she works as design engineer and project manager for LioniX BV. Her competences vary from managing projects and developing functional designs of integrated optics to the specification, verification and demonstration of products in the laboratory. Alcatel Lucent. Nov 2014. Thermal management has traditionally been relegated to the last step in the design process. However, with the exponential growth in data traffic leading to ever-greater levels of component integration and ever-higher levels of energy consumption, thermal management is rapidly becoming one of the most critical areas of research within the ICT industry. Ryan Enright, Shenghui Lei, Kevin Nolan, Ian Mathews, Alexandre Shen, Guillaume Levaufre, Ronan Frizzell, Guang-Hua Duan & Domhnaill Hernon.